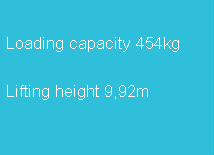 This lifting technology has unquestionable advantage over other types of lifting equipment. 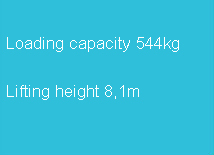 Scissor lifts are featured by high reliability, small size, portability and ease of use. 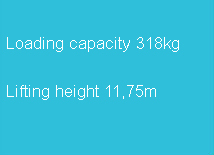 These machines ideally suitable for maneuvering in a small space both indoors and outdoors. 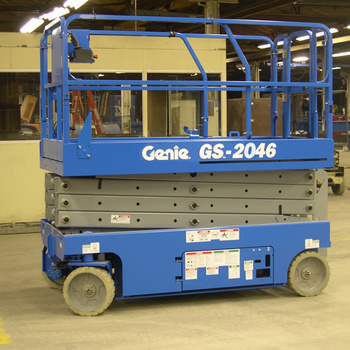 Our company offers scissor lifts of the famous worldwide brand GENIE. These machines are capable of lifting loads weighing up to 680 kg to the height of 18 meters. 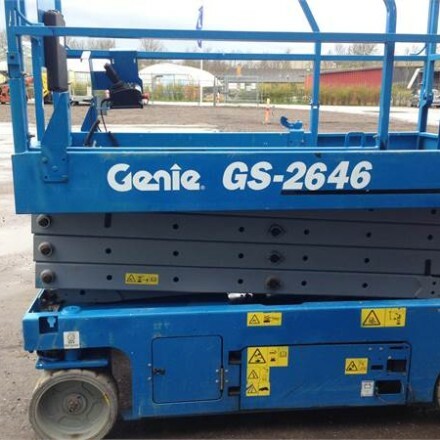 It is worth emphasizing scissor lift model GENIE GS-5390 RT represented for rent in the company EUROPE-LLOYD either – it was constructed to work on rough, difficult terrain. 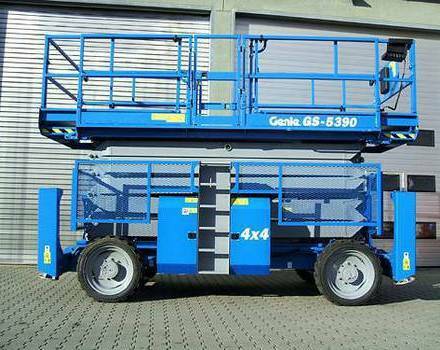 This scissor lift has comparably high lifting speed, enhanced platform, maneuverability and simplicity of operation. All these characteristics allow getting to the working place promptly, and executing the necessary operations effectively. 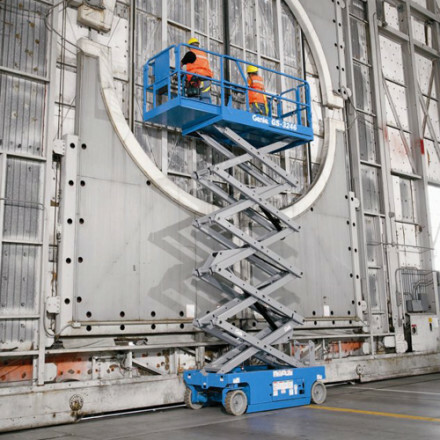 For more information about the technical capabilities of each scissor lift you can see below, moving the cursor on the model you are interested.